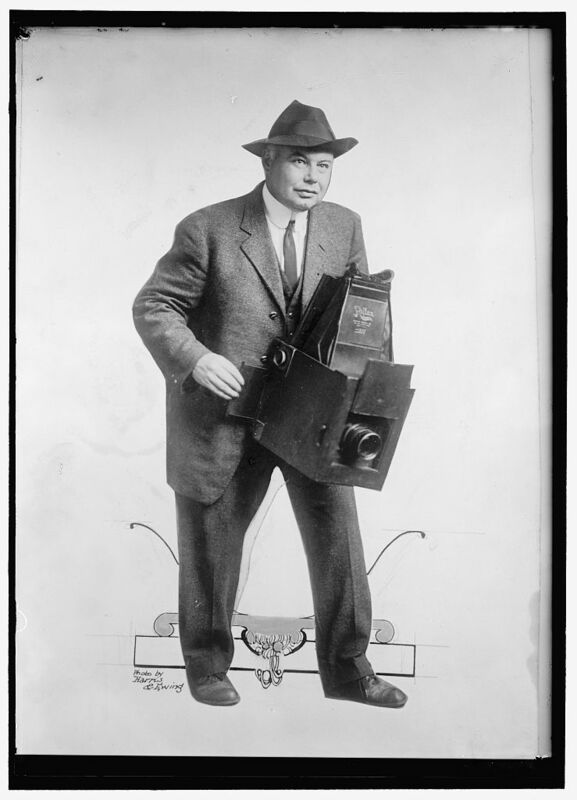 In the old days (19th century and very early 20th century) almost all cameras were large format cameras. 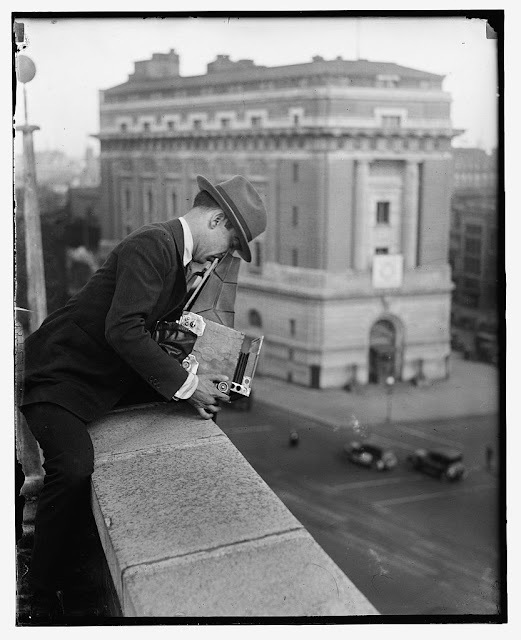 For roughly the first fifty years of photography prints were made by contact printing rather than enlarging, which meant that if you wanted a big print you had to use a big camera. 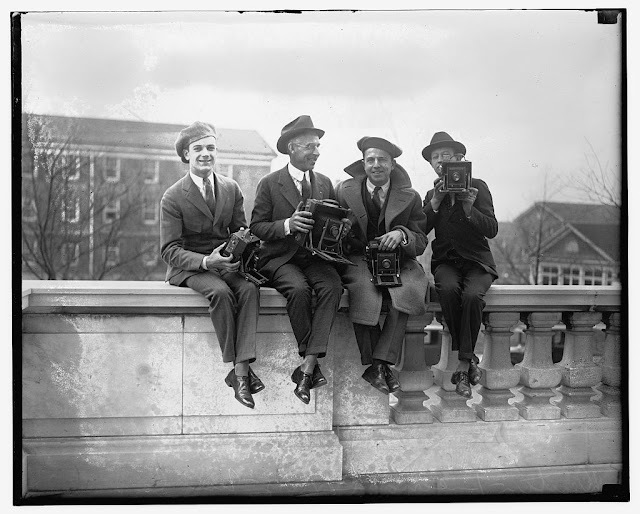 Four unknown guys from the early 1900s hanging out with their cameras in hand. President Coolidge in cowboy outfit, standing in field with photographers, 1927. 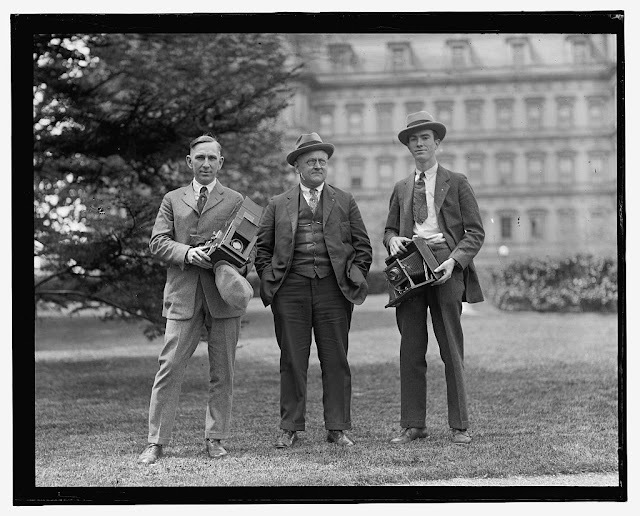 Group portrait of four members of the White House News Photographers' Association, standing, facing front, holding cameras, ca. 1920s. 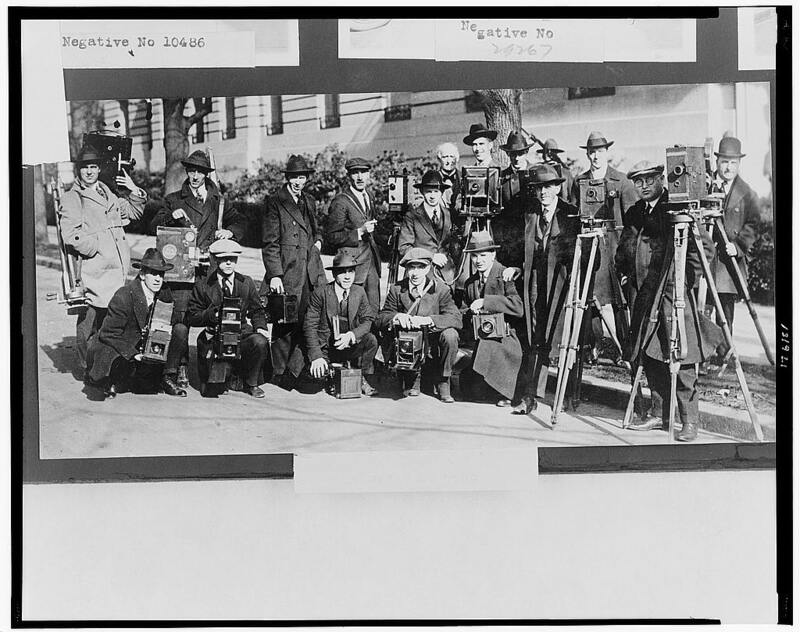 Group portrait of seventeen members of the White House News Photographers' Association, standing and squatting, facing front, with cameras, ca. 1920s. 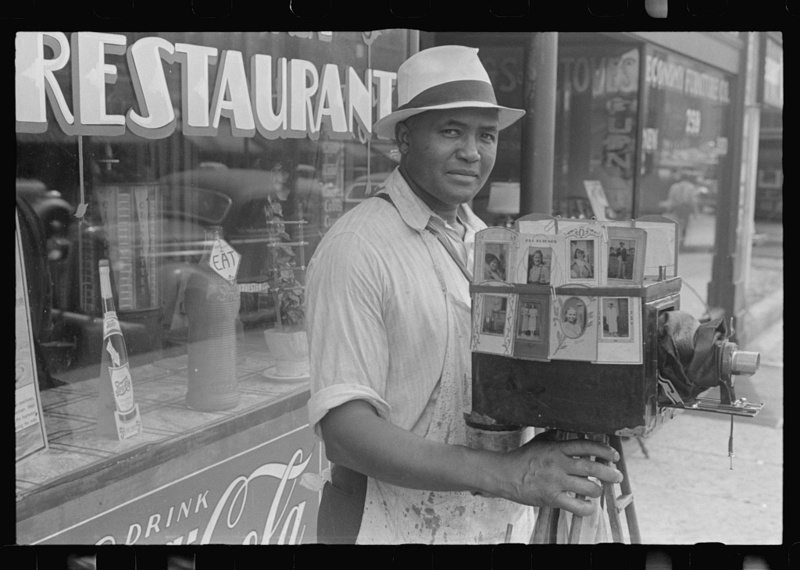 Itinerant photographer in Columbus, Ohio, 1938. 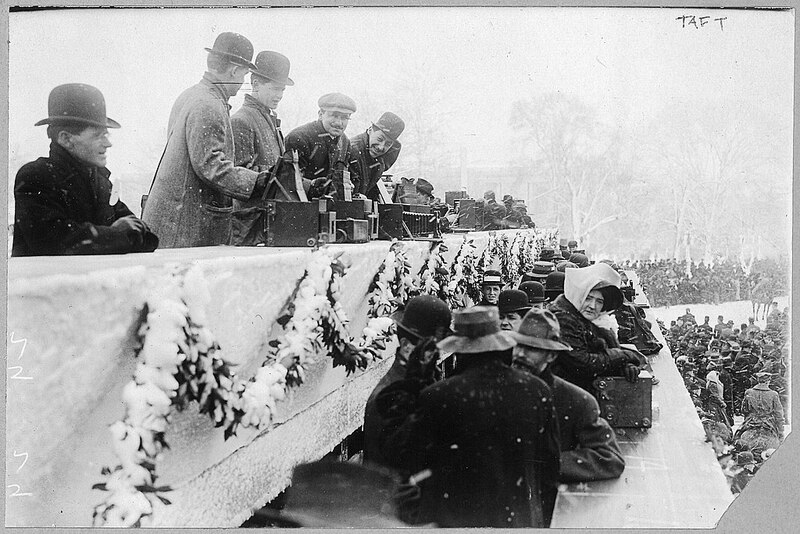 Photographers at President Taft's inauguration, March 4, 1909. Photographer with large format camera, 1914. 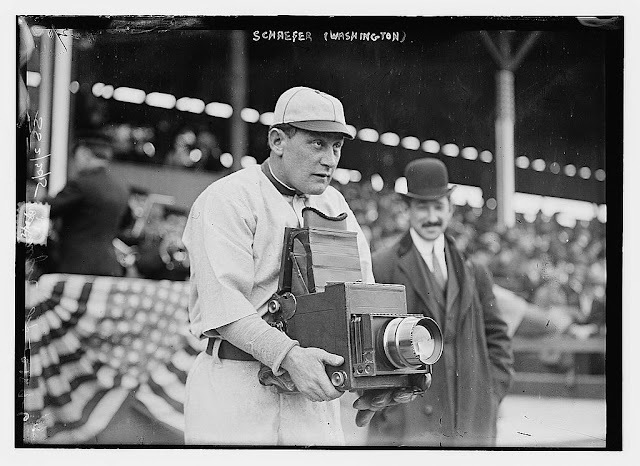 Baseball player Herman Schaefer hijacking a 5×7 press Graflex camera during a game between the Washington Senators and New York Highlanders in 1911. 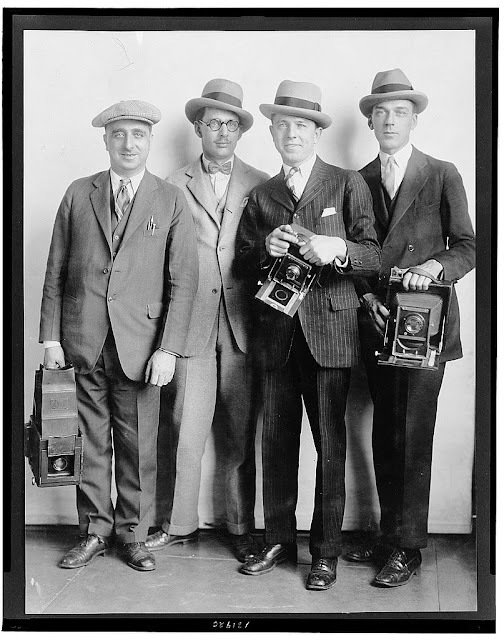 Three guys posing with two cameras in the early 1900s. Photographer with camera outside White House, ca. 1900s. A group of early-1900s photographers posing with their cameras on steps. 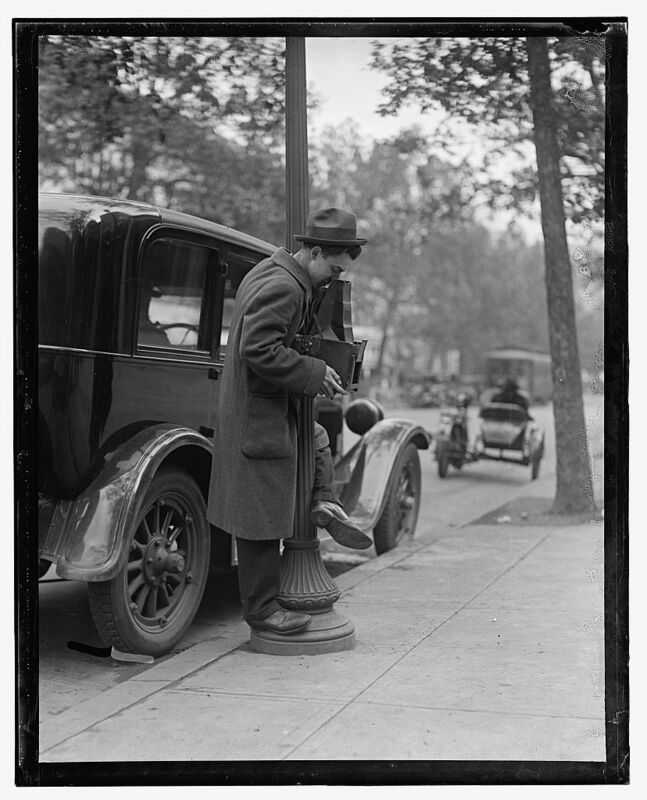 Perhaps this is what paparazzi photographers looked like a century ago. 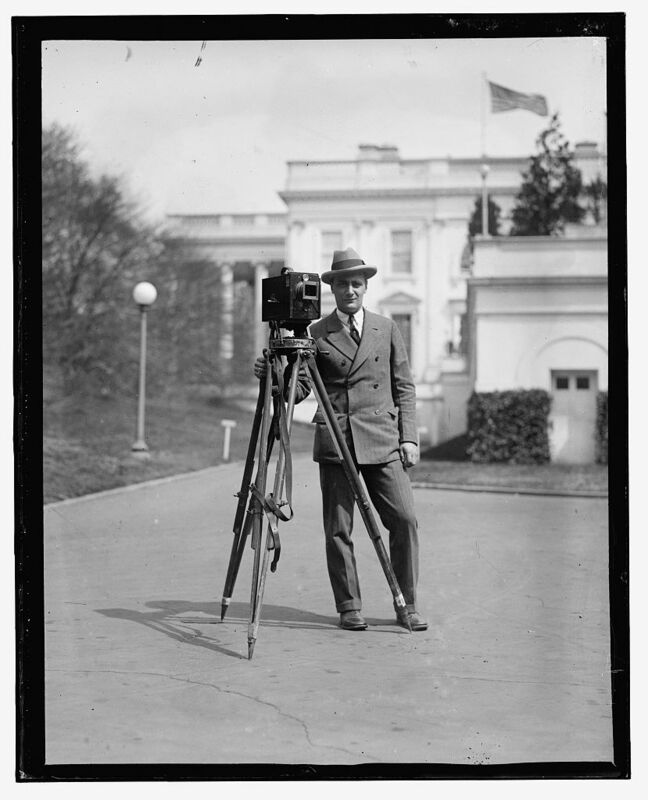 ...and this, an unidentified photographer with camera in the early 1900s. It’s not too different from what a sports photographer looked like. 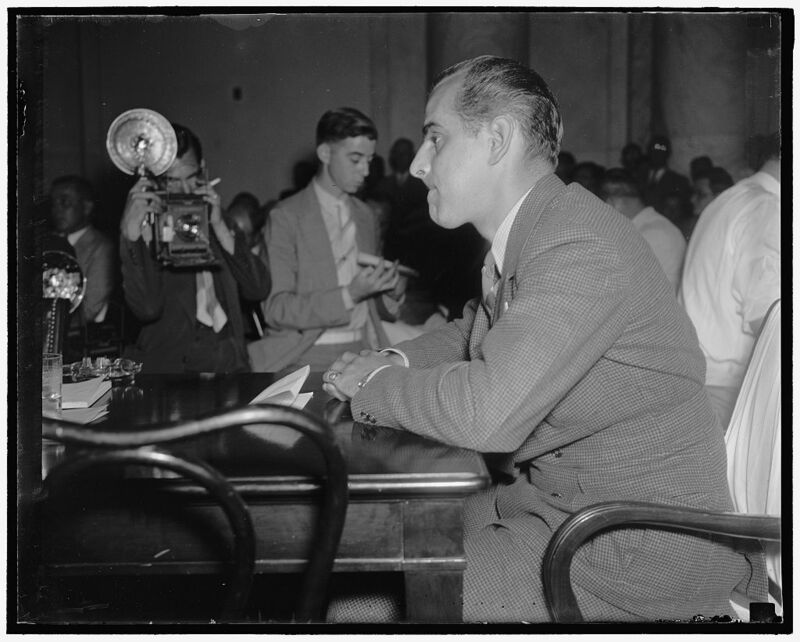 Newsreel cameraman describes Chicago strike riots to Senate Civil Liberties Committee. 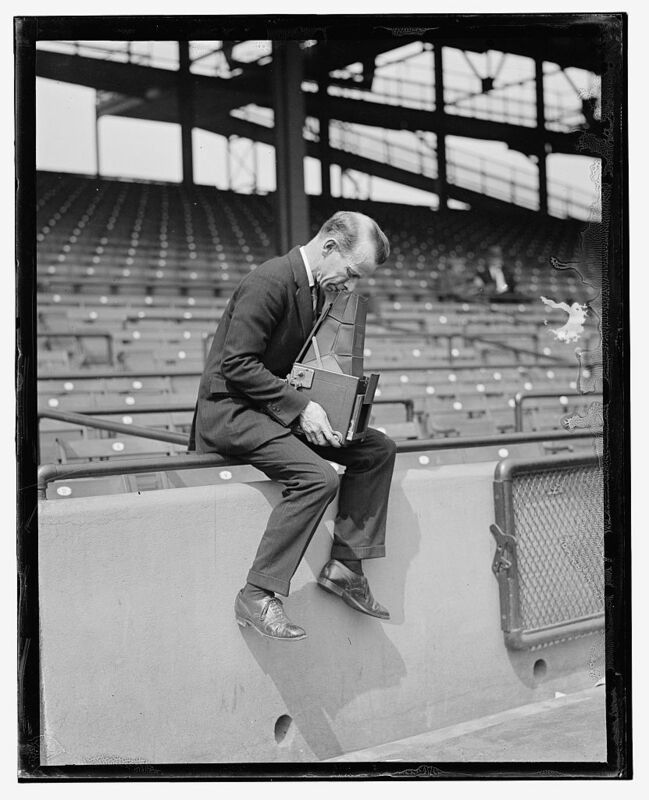 Washington, D.C., July 2. Orlando Lippert, cameraman for Paramount News, describing to the Senate Civil Liberties Committee today the scenes he photographed for his reel at the Memorial Day strike riots at the south Chicago plant of the Republic Steel Corp. 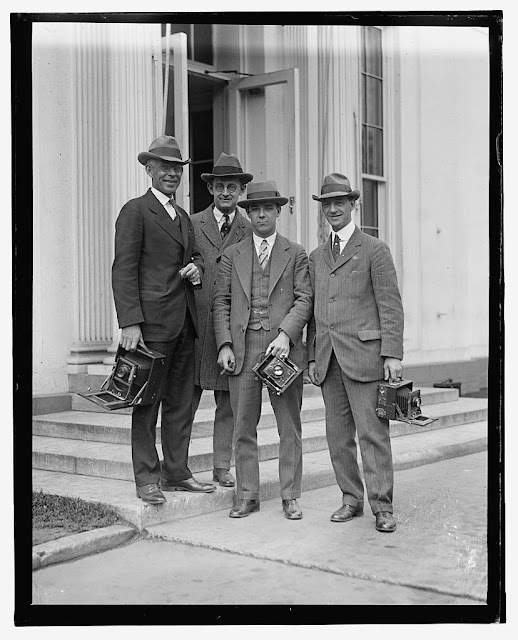 The pictures which suppressed by Paramount were screened for members of the committee today, 7/2/37. In 1939, when star college quarterback Davy O’Brien visited Washington to receive a prestigious award, he paid a visit to Presidential Secretary Marvin H. McIntyre at the White House. 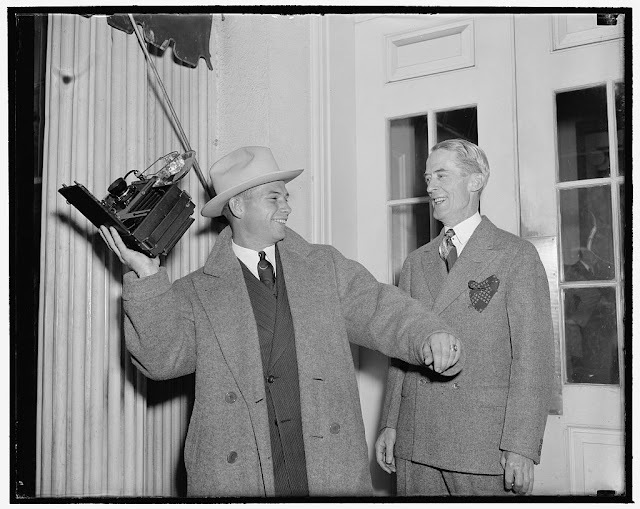 To demonstrate his passing technique to McIntyre, O’Brien grabbed a camera from a news photographer nearby and pretended to use it as a football.